The Roof Panels made by our Roll Forming Machine have beautiful appearance and bright color. ancient architectures and modern villas. Forming Steps 11-16, according to the drawing. Shaft Material Φ70 mm, high grade 45# steel. Screen 7 inch touch screen, easy to operate. 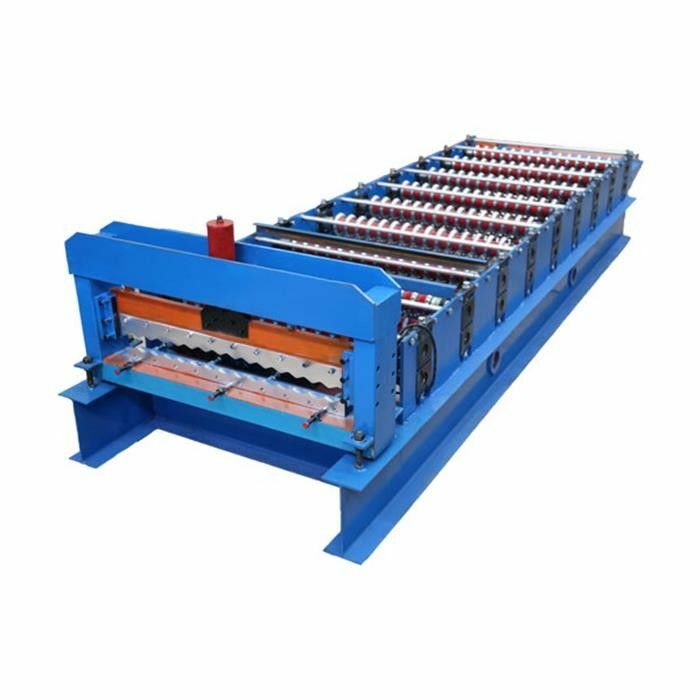 Roof Panel Wall Plate Equipment Forming MachineThis type of tile has advantage inclouding beautiful, classical appearance and grace taste. It can be widely used in village, hotel, exhibition, vocation vallage, family construction and outdoor decorate. shutter door machine, floor decking machine and other associated equipment. Our roll forming machines are equipped with PLC control to ensure high accuracy and easy operation.